Drive across the state of North Carolina, also known as the Tarheel State, and you’ll enjoy various terrains. Start at the coast and take your time exploring the Outer Banks and small coastal towns. This is great if you want delicious local food and a relaxing vacation. Be sure to take a trip to Cape Hatteras and see where Blackbeard’s ship sank in 1718. As you move west across the state, the landscape comes to a slow roll, perfect for watching a sunset across a just-planted field. Farther west, you’ll run into the Appalachian Mountains. Visit Asheville for a concert and a cold beer. No matter where you go in North Carolina, you’ll have plenty of things to do, but stay in your travels and make sure you’re properly insured. Typically, it’s hard to obtain an average price for car insurance but we’ve done some research and developed an estimate for you. The trick to understanding how much you’ll pay for car insurance comes from understanding how quotes are developed. There are many different factors that are used to come up with a personalized quote. Someone who has a perfect driving record will likely have a much lower premium than someone who has received multiple tickets, even if the rest of the specifications are exactly the same. Insurance companies in North Carolina like to reward safe drivers using the North Carolina Safe Driver Incentive Plan (SDIP). This plan works in conjunction with your driving record. If you get a point on your license due to an offense, it correlates with an increase in your auto insurance premium. Just one point could result in a 30% increase! By staying safe on NC roads, you’re keeping money in your pocket. While it’s illegal to drive without insurance, some people still insist on taking a chance. Nearly 14% of North Carolina drivers are on the road without insurance and if you run into one of them, the accident could be very expensive. When you hit an uninsured driver, your insurance absorbs the cost of both parties’ property damage and bodily injury. This is why setting the right coverage limits on all of your policies is so essential. Just buying the minimum legal limit likely won’t cover even a minor accident. Plus, you’ll have to pay your deductible as well. Make sure you always enough money in the bank to cover your deductible and set the right coverage limits. If the damage goes above and beyond, you’re responsible for the additional costs. Below are the legal limits but it would be a good idea to buy at least the recommended limits for full protection. North Carolina requires that you carry proof of insurance with you at all times. This rule can be satisfied by either carrying your insurance card, which contains your policy number and insurance company’s name, or you can use Form DL-123. This is your original policy contact, which can be obtained from your insurance agent. If you get caught driving without any of these or there is a gap in your coverage, there will be consequences. If the state discovers you’ve had a gap in coverage, you’ll receive a notice known as Form FS5-7. This will notify you of a fee you need to pay and requires that you obtain valid auto insurance. If you don’t pay the fee or obtain insurance, your license is suspended for 30 days and you have to pay a civil penalty. To get your license reinstated, you must fill out a separate form and prove you have insurance. It’s much less hassle to buy insurance in the first place. Buying North Carolina car insurance isn’t as hard as you think. 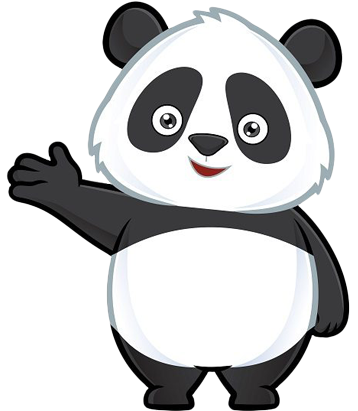 Here at Insurance Panda, we’re dedicated to helping you find the policy you need at a price that can’t be beat. Simply use our quote comparison tool to get a list of local insurance companies with great rates. What are you waiting for? Let’s get started!